Setting up a home Wi-Fi network is infuriating. Unless you live in a mansion the claimed 32-meter range of a standard router sounds as if it should be adequate. But every home has places with flaky coverage and they're usually just where you want to use your computer. 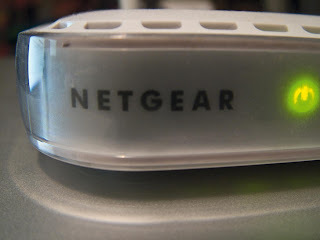 Before you rush out to buy a new router, signal booster or a more powerful antenna there are some cheap and simple tricks which could give you coverage where you need it. The first thing to realise is that there's an almost endless list of objects that can interfere with Wi-Fi signals including walls, anything metal and electrical equipment. This particularly applies to items such as some cordless phones [correction: not DECT], microwaves and baby monitors which share its 2.4 GHz frequency. Move the router and these objects around and you may solve your problem. If that doesn't work, you can make your Wi-Fi directional. It's not difficult to stop distributing your signal to the neighbours. The simplest method is to create a parabolic reflector for your router's aerial. It sounds complicated but is actually a project of Blue Peter simplicity. Free Antennas offers a scientific template to download and print onto card. Cut, glue and cover with tinfoil and you've got a parabolic reflector to slip over your router's aerial. If even that seems too much hassle almost anything curved and covered with foil will work, whether it's an old lampshade, plastic plate or anything that happens to be lying round the house. Of course, by making the signal directional you will reduce other areas of coverage. That may be a nuisance or it could improve your network security by making it harder for neighbours to nick your bandwidth. They may be doing that using another hack based on the parabolic principle. This utilises a sieve, colander or other similar curved metal object. Just stick a wireless USB adapter in the middle so it resembles a miniature satellite TV dish with an extender cable attached to your PC. Probably the best version incorporates an adjustable desk lamp - no bulb required. You can move this round until the strongest signal is found, then leave it pointing in that direction. Of course, if you use this method to "borrow" somebody else's broadband it's not exactly legal. The other mechanical way to boost your Wi-Fi is with a bigger aerial. You can buy one which will set you back £20 or so. Alternatively you can follow these instructions to create a new antenna with a drinking straw and some copper wire. It does require some simple soldering. If that seems daunting you may be able to boost the signal from your router without actually touching it. You can do this with open-source firmware downloads such as DD-WRT or Tomato. A word of caution before you start messing with your router's firmware. Although it's unlikely to do any harm, if it does it may void your warranty. Also, make sure you download the latest official firmware from the manufacturer's site. Test it. Then backup everything to your PC. The wrong time to find you need to download firmware is when your router's borked. If you do decide to make the upgrade the process is fairly simple. First you'll need to ensure your router's supported using the databases on the sites above. Owners of common Linksys, Buffalo or Asus models are most likely to be in luck. Then it's just a matter of downloading and flashing the firmware as you would with a standard upgrade by following the instructions in the manufacturer's manual. If it doesn't work immediately you may need to carry out a hard reset by pressing the small button at the back of the router. Once you're up and running, log into the router. You'll then find you have access to a large number of tweaks and ways of tracking performance. Increasing the signal using Tomato, for instance, is a matter of going into the advanced menu in the sidebar and then to "Transmit Power". Although it'll go much higher, it's probably safe to raise the power up to around 70mW. Don't overdo it, though, as routers tend to be left on 24-hours-a-day and overheating can burn out their chips. But used judiciously new firmware can seriously boost your Wi-Fi coverage.